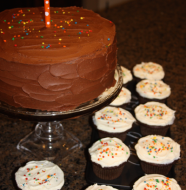 I decided to make these Sunday morning for my family as a thank you for all of the hard work on Saturday helping me weed, plant the garden, planting my flower pots, and cleaning up the outside furniture. I was a horrible mother and the boys were required to help us outside instead of spending the day inside playing Wii. Overall, it was a good day and we got a lot accomplished and will be happy reaping the fruits of our labor in a couple of months. 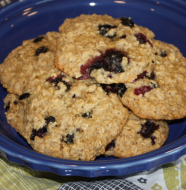 I still thought we need a special breakfast on Sunday as a little way to say “thank you.” This recipe seemed perfect. One, it had chocolate in it. Two, it was very easy to put together and only takes about 20 minutes to cook. Three, I had everything on hand to make it. Score! 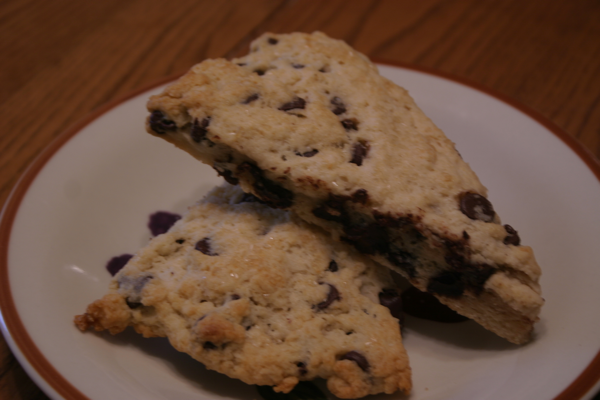 This scone recipe was fun to make and it comes together very quickly without dirtying a bunch of bowls. You will love it. Jeffrey thought it would be fun to experiment with things other than chocolate chips since he enjoyed the scone part so well. Definitely a keeper in the Sykes household. I baked my scones in a disk so the inside was a little bit softer than the edge. It was still delicious but Jeffrey and I both agreed that the crisper edge was really delicious. I think next time I will separate my wedges before baking to insure more crisper edges for us to enjoy. I would love to hear what you think of this recipe. I think this one has a more traditional scone texture than the vanilla scones I posted the other day. Both are delicious in my opinion. 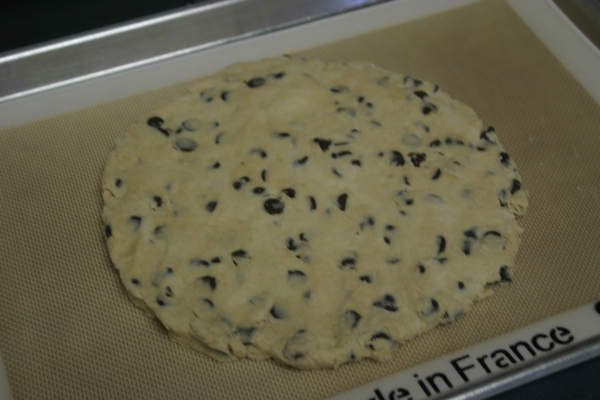 Preheat the oven to 375˚ F. Line a baking sheet with parchment paper or a silicone baking mat. Combine the flour, sugar, baking powder and salt in a medium bowl; stir to combine. Toss in the chocolate chips and stir to blend. Add the heavy cream to the flour mixture, stirring just until a dough forms and the dry ingredients are incorporated. Knead the dough very briefly with well floured hands to ensure even mixing. Scone dough shaped into a disk. Brush lightly with the butter and sprinkle with additional sugar. 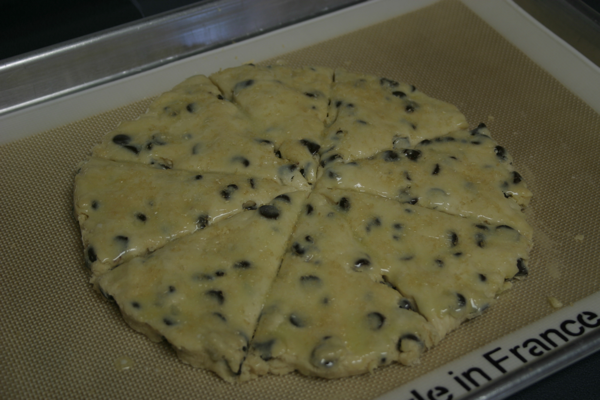 Scone dough brushed with butter, topped with sugar, and cut into wedges before baking. Bake for 15-20 minutes or until lightly golden brown. Enjoy! 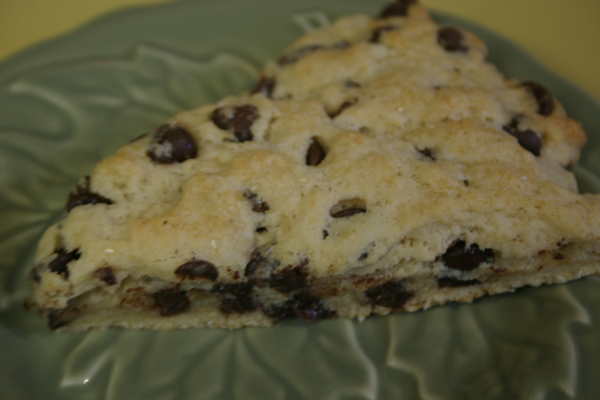 5 Comments on "Chocolate Chip Scones"
1. Is it ok to separate the pieces on the baking sheet (after cutting them into the wedges) if you want a crust on the sides? These look so yummy! Have you ever had the strawberries and cream scones from Panera? I’m dying for a copycat recipe! Love your blog. OH MY! The Vanilla scones were to die for!!! I ate almost half the batch watching the Royal wedding!! ROFL! 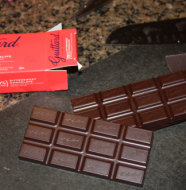 Now I am definitely going to have to try these because I am a HUGE chocolate fan! 🙂 But this time I better make sure my family is already up so they can stop me from eating the whole thing!! lol Thanks for sharing! Made them today and love how easy they are. The dough is not as sticky as the vanilla scones recipe was. So I was successful on my first try. My 7 year old said they are best warm out of the oven with a big glass of cold milk!